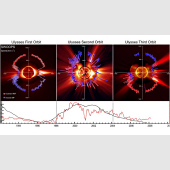 The joint ESA-NASA Ulysses deep-space mission was designed to study the heliosphere - the region of space influenced by the Sun and its magnetic field. The primary scientific goal was to make the first-ever measurements of the unexplored region of space above the Sun's poles. Other areas of investigation include determination of the global properties and behaviour of the solar wind, the study of energetic particles of solar and interplanetary origin, measurement of the magnetic field of the Sun and the heliosphere, study of galactic cosmic rays, investigation of how the heliosphere interacts with interstellar space, and participation in a programme to identify the origin of gamma-ray bursts. 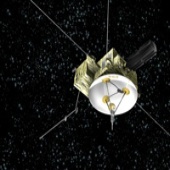 On 30 June 2009, the Ulysses mission ended after 6842 days (18 years 8 months 24 days) in orbit.